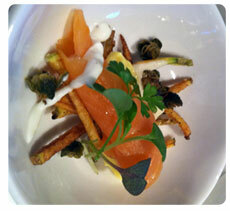 What Exactly is the Meaning of an Amuse-Bouche/Amuse-Gueule..Huum, Ever Wonder, Less Ever Hear That Term Before? 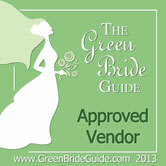 The Green Bride Guide is the most comprehensive and credible green wedding resource online. The Directory is like a Yellow Pages for green weddings that provides a centralized resource of green wedding vendors, searchable by geographic area. This year, almost 70% of couples are looking to include green elements in their events, and 85% are concerned about greenwashing, the passing off of non-green companies as eco-friendly. To address these concerns, the Green Bride Guides screens all vendors in the directory and displays their green practices in their profiles. The Laughing Pear Group received a 5 leaf rating from the Green Bride Guide. 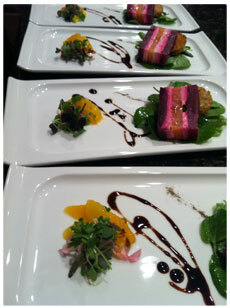 Executive Chef David Kratky is passionate about incredible food and expressing his creations with unique food and wine pairings. Chef David Kratky’s most recent endeavor was the opening of The Laughing Pear. Prior to being the owner and CEO of The Laughing Pear, Chef Dave was the Executive Chef for Levy Restaurants at Deer Valley’s premier French Restaurant, Bistro Toujours, at the stunning Chateaux in Upper Deer Valley. There he offered French cuisine with mountain flair. We are excited to be part of the Green Bride Network and look forward to a mutual relationship of business for providing our clients' the best in bridal, catering and service.